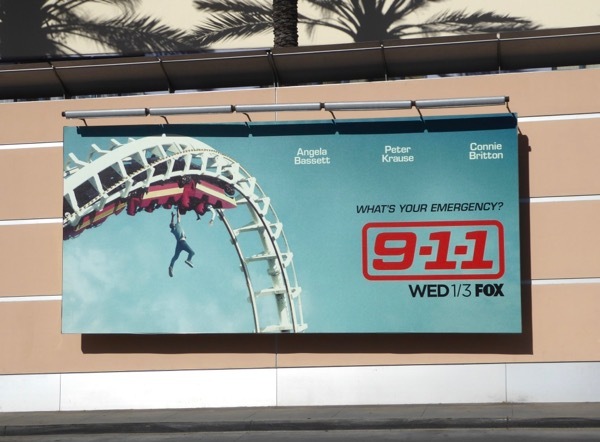 Life is like a rollercoaster, full of thrills and spills, ups and downs, the daily grind and out-of-the-blue emergencies. 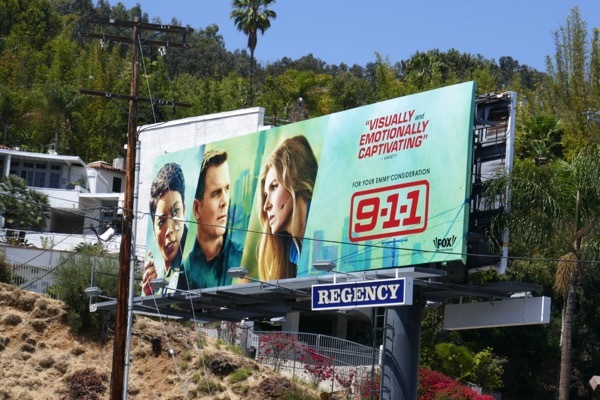 In the New Year 9-1-1 is the new procedural drama coming to TV screens, shining a light on the high-pressure careers and daily occurrences in the lives of cops, paramedics and firefighters. 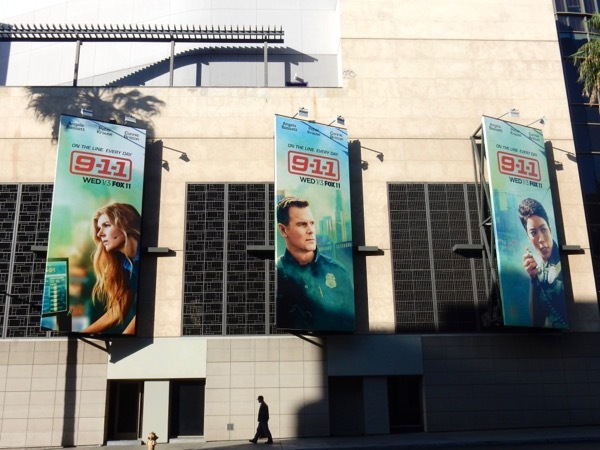 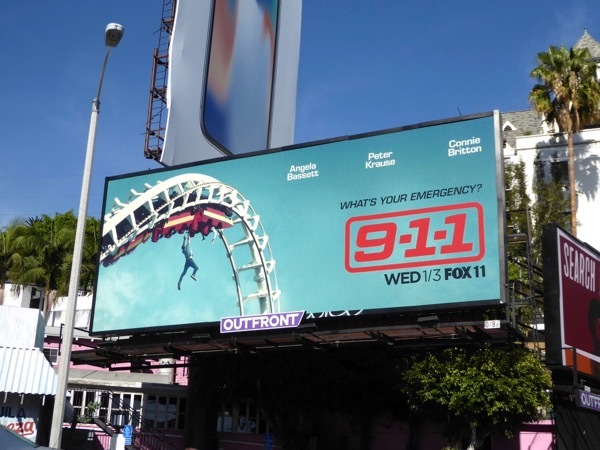 These dramatic rollercoaster ad creatives for the new first responder show starring Angela Bassett, Peter Krause and Connie Britton certainly make an impact in the city skyline. 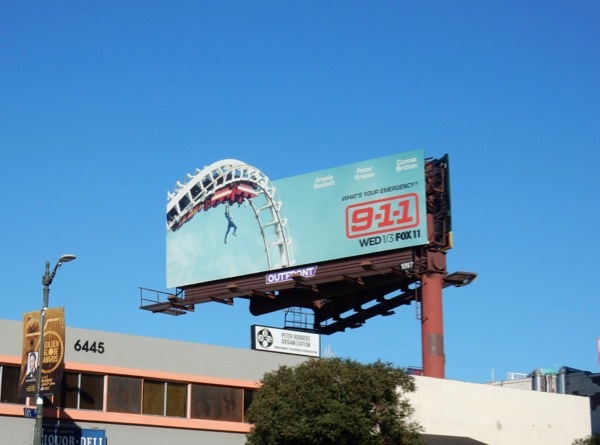 The standard billboards were snapped along the Sunset Strip and at Fox Studios along Pico Boulevard on December 1. 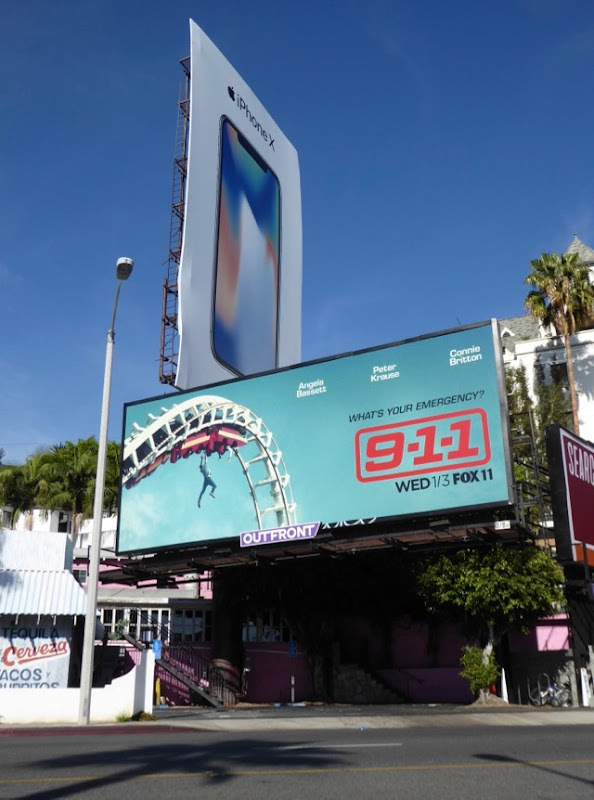 Meanwhile the special extension cut-out versions were spotted along Hollywood's Sunset Boulevard and West L.A.'s Pico Boulevard from December 15 to December 17, 2017. 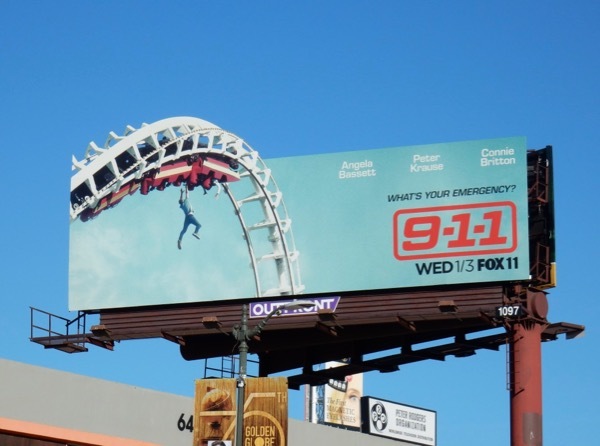 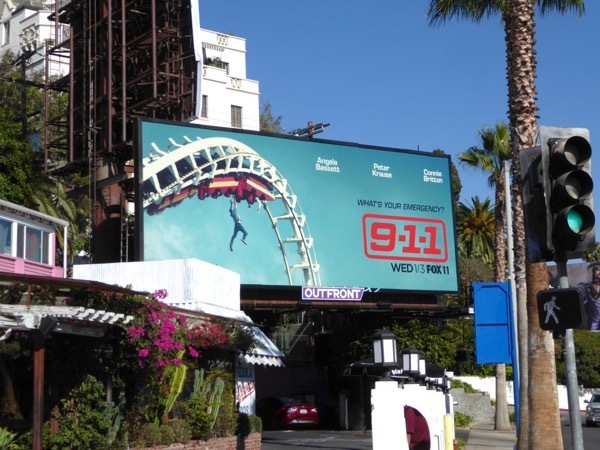 You may never want to go to a theme park again after seeing these stomach-churning billboards, but it certainly seems like 9-1-1 will make for some thrilling drama in 2018. 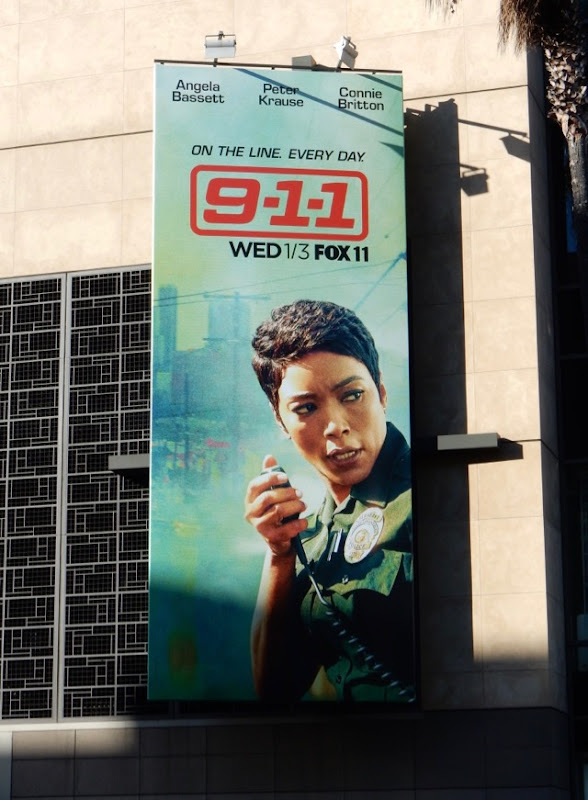 UPDATED: In addition here's also a trio of character billboards fo the new series snapped along Highland Avenue on December 18, 2017. 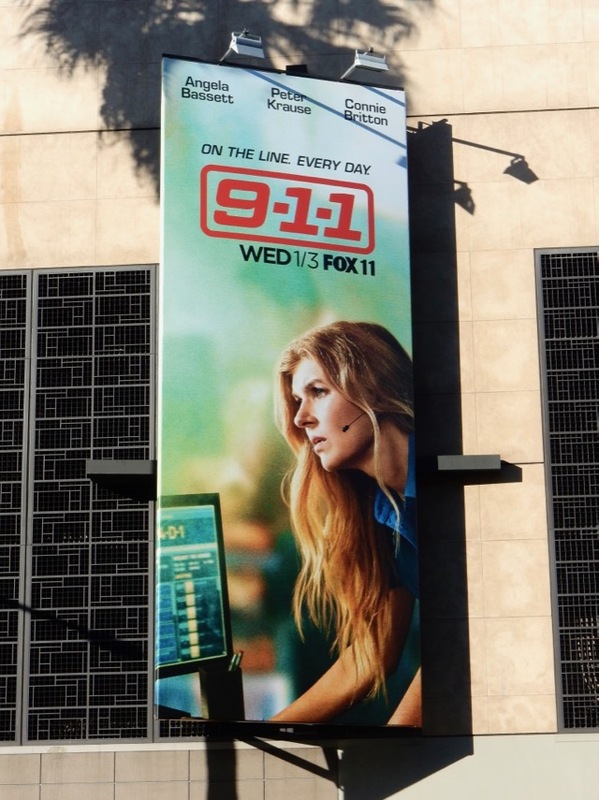 These portrait ad creatives give a glimpse at who Connie Britton, Peter Krause and Angela Bassett will be playing, whether it be in the call dispatch centre, a firefighter, or a cop on the beat. 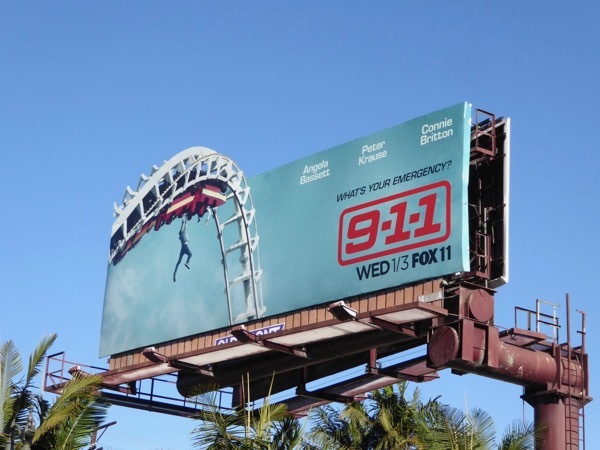 Let's see if Ryan Murphy and Brad Falchuk's new emergency drama series can offer something different from all the other crime, medical and firefighting procedurals on TV. 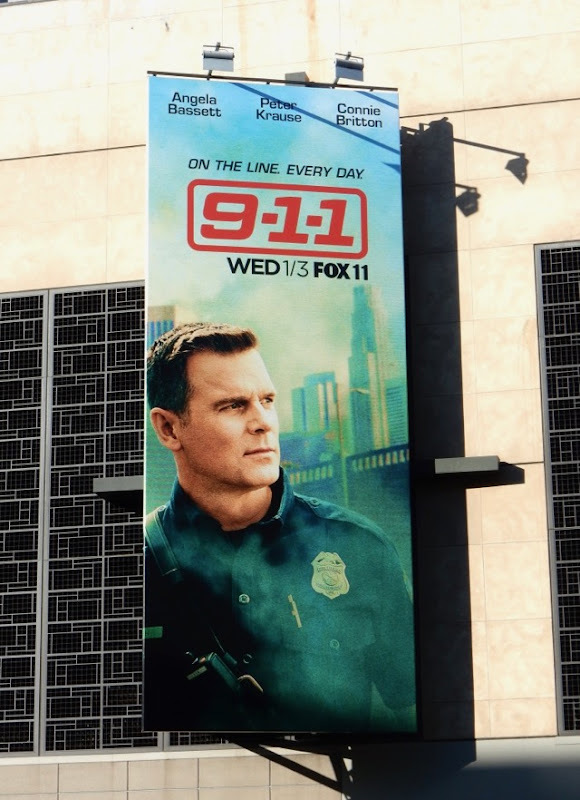 UPDATED: Here's also an Emmy consideration billboard for the rookie show, spotted along West Hollywood's Sunset Strip on May 28, 2018.